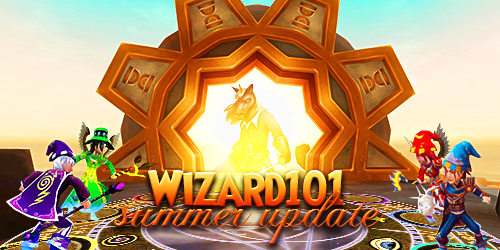 The Wizard101 Summer Update includes the addition of PvP Daily Rewards, a new PvP turn-based tournament mode, a new PvP age, PvP rank boosting changes, new chat channels, chat emojis, chat tabs, Tutorial Tip Log, Avalon Fishing, New Monstrology Extraction Spells, Main Quest indication in your quest log, and much more! 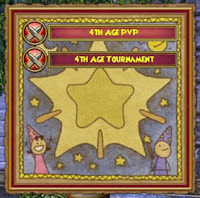 There is a new Daily PvP Tournament kiosk in the PvP staging area, where you can check on your Daily Award status. While most days will give you bonus tickets and gold, Days 5, 10 and 15 all have awesome surprises in store! 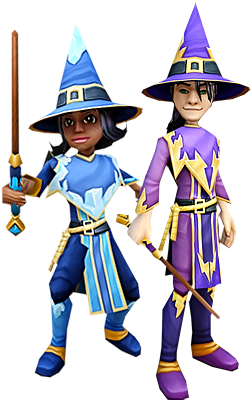 Best of luck at finding both new items and old favorites (like Loremaster spells). To help stop the practice of boosting rank in PvP, players are no longer allowed to play against the same players they've been matched with for a period of time. 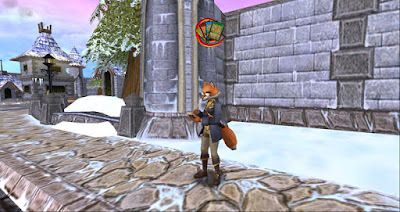 In PvP only, KingsIsle has implemented a Dispel Shield functionality to reduce the ability to spam Dispels. When a Dispel is cast upon a player, they will also receive a Dispel Shield, which can only be broken by a second Dispel. NOTE: If you use a spell that leaves multiple Dispels on a player, like Elemental Diffuse, only one Dispel Shield will be applied. 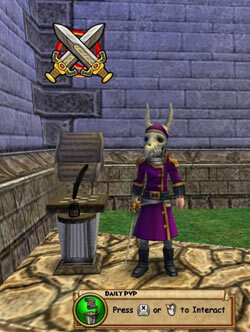 With these recent changes, KingsIsle is also adding a new age of PvP: welcome to Age 4, which includes new badges for your Wizard to obtain! 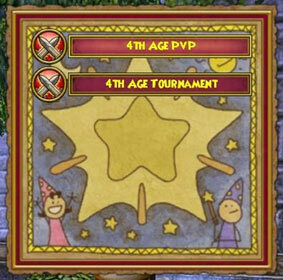 PvP Tournaments now have a new turn-based mode. 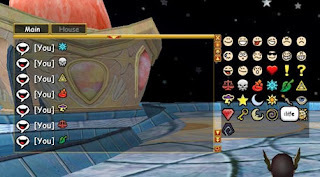 In this mode, each side of the dueling circle will take turns choosing their cards instead of both sides choosing at the same time. This update features a ton of new chat changes. First, the Menu Chat has been updated and revamped, so that it contains a lot more strategy and other fun phrases. It also now features a "Favorites" column at the top of your list. Also available to all players are new emojis! Click the round face icon on the right hand side of your chat window, and this opens up a menu of emojis you can add to your conversation. To really kick up your conversations, KingsIsle has added a new "Friend" chat channel. Now each player has a friend chat channel and can invite friends to join it. Your Friend Chat Channel can be public or private. Brooke Waterman has set up her tackle box in Avalon, where you can find a new fishing quest for all wizards who have finished the fishing quests in Dragonspyre (specifically the quest "Not If I Catch 'Em First!") and completed the world of Avalon (specifically the quest "A Great Storm Coming"). 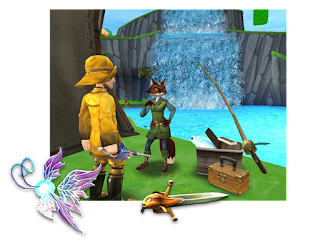 Brooke's quest will take you on a journey to all the newest fishing spots in Avalon, and she may even have a new fishing spell for you once you finished your quest! New Monstrology spells to extract Treants, Pigs and Gobblers can now be found in Grizzleheim, Colossus Boulevard, and Wysteria. Hunt down Monstrologist Burke in these new locations, and she'll have these new extract spells to teach your wizard. And there are many more changes and minor updates to the game! Read the complete list of Update Notes for more.